Suong Nguyen was “scared” of a woman wearing a niqab when she banged on her car door, told her to take off her mask, and called her a terrorist. 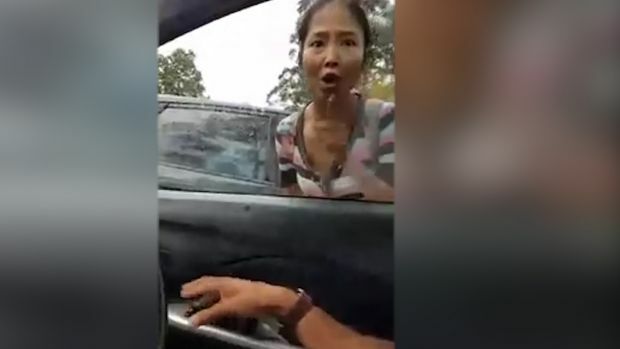 The victim, Semaa Abdulwali, filmed the racist attack in the car park at Macquarie University on January 20, and the footage was watched by millions of people when her husband Ramzy Alamudi posted it online. Nguyen was on Monday handed good behaviour bonds and a fine, after pleading guilty to intimidation and causing damage. Magistrate Suzanne Seagrave said Nguyen displayed an “unexplainable prejudice that has no place whatsoever in our multicultural society”. 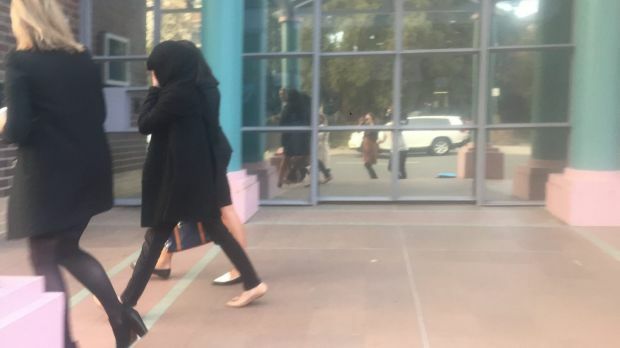 “It appeared to have been triggered by Mrs Abdulwali’s apparel, something that Ms Nguyen immediately resented and was angered by,” the magistrate said. Nguyen’s lawyer, Andrew Tiedt, said the university had banned her from campus, and the incident had shattered her family life. He said Nguyen wanted to express her remorse to the victims, who watched on as she banged on their windows, yelled, and paced around the front of their car. “She regrets what she did … and says she understands the distress and fear it would have caused,” Mr Tiedt said. Mr Tiedt said there was no excuse for Ms Nguyen’s actions. “There’s an unjustified, but growing fear of the Muslim community and that isn’t in any way justifying what occurred. He said Nguyen was recognised on the street after the video of the attack was widely shared. “This has been a horrific six months for her and that’s by her own making. 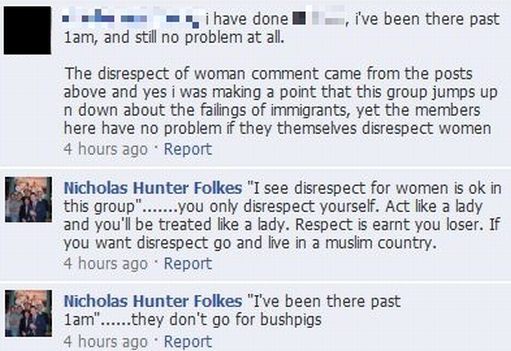 “It seems everyone in Sydney has seen the video … that’s a stain on Ms Nguyen’s character. Police prosecutor Ernest Chan said the victims were subjected to a prolonged and disturbing rant that was “unfounded racial and religious prejudice”. Nguyen’s actions were motivated by hatred, he said. Ms Seagrave handed Nguyen a two-year good behaviour bond for the intimidation charge, fined her $750, and ordered she be supervised by Community Corrections. The magistrate said Nguyen must obey any directions to go into anger management counselling. 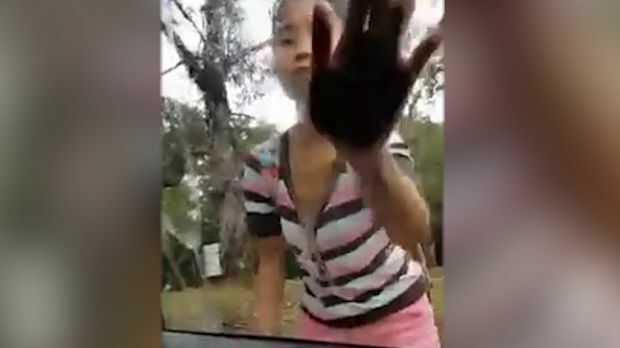 She was also handed a one-year good behaviour bond for the damage charge, to be served at the same time, and to pay $817 for damage to the couple’s car. 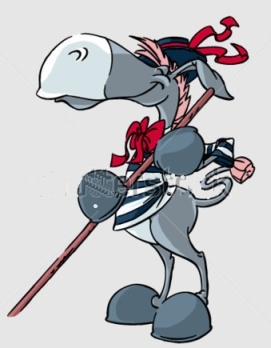 Fresh from his latest non-triumph as chief dumb majorette for the recent visit of the Netherlands’ own bland bumshell, Niqi “36 votes” Folkes, failed Prime Minister, also now known as “Geert-by-sea” in homage to his new peroxided hero, has swiftly positioned himself and his dead donkey onto the Laura Norder bandwagon. This follows inflammatory remarks from some intemperate Opposition front-benchers about a recent sexual assault which took place in university accommodation. Never one to allow facts, the judicial process or compassion for a victim of crime to stand in the way of a publicity stunt, Niqi and his handful of pathetic rag-tag followers aim to turn up at Macquarie University to yell and wave signs at the students and staff there, thus achieving….umm…. Now we are sure that most people are concerned and outraged by the alleged sexual assault. There is no doubt that violence against women is a serious problem in Australia, and such violence is massively unreported despite reforms to legal processes because victims often are apprehensive of the legal process itself, and for good reason. Surprising though it may seem (or maybe not) there is also a culture of acceptance at universities of abominable behaviour towards women by some men, both students and staff, and a culture of sexual entitlement on the part of these men. And despite our very own Niqab Niqi, self-appointed champion of abused women, flogging his own knackered mount, he really does not have a good track record towards women. Not at all. So sisters, you know what to do. Put it out there Niqi style.